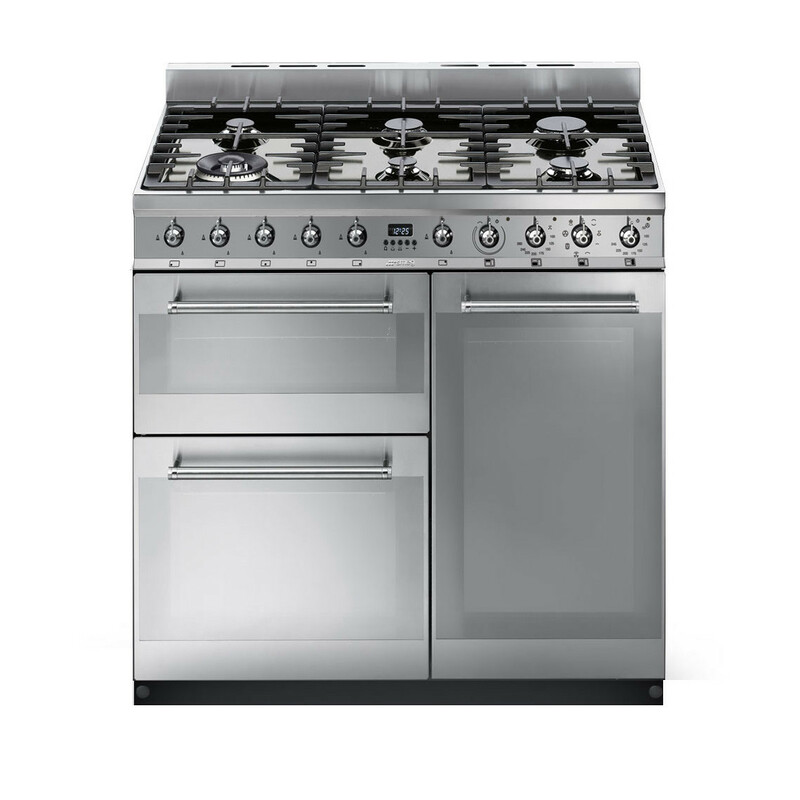 This is the 90cm Smeg Symphony range cooker, this stylish slick and modern design will look great in any style of kitchen. This cooker has two great capacity ovens that will fit all you may need within them and the circulaire function helps to remove preheat times for things over 20 minutes to cook, means there is no flavour transfer between different foods when cooked at the same time and uses less energy. A great 6 burner gas hob also allows you to fit everything on it at great powers helping to provide you with even more hob cooking options.